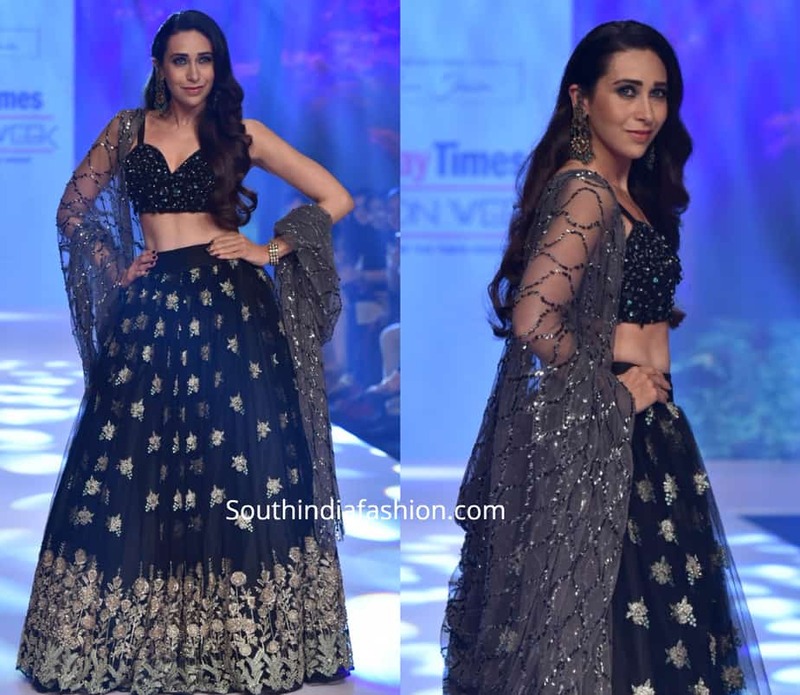 Karisma Kapoor walked for Anshu Jain at the Bombay Times Fashion Week wearing a black lehenga by the label. Statement earrings by Queenie Singh and wavy hair completed her look! The post Karisma Kapoor in Anshu Jain appeared first on South India Fashion.